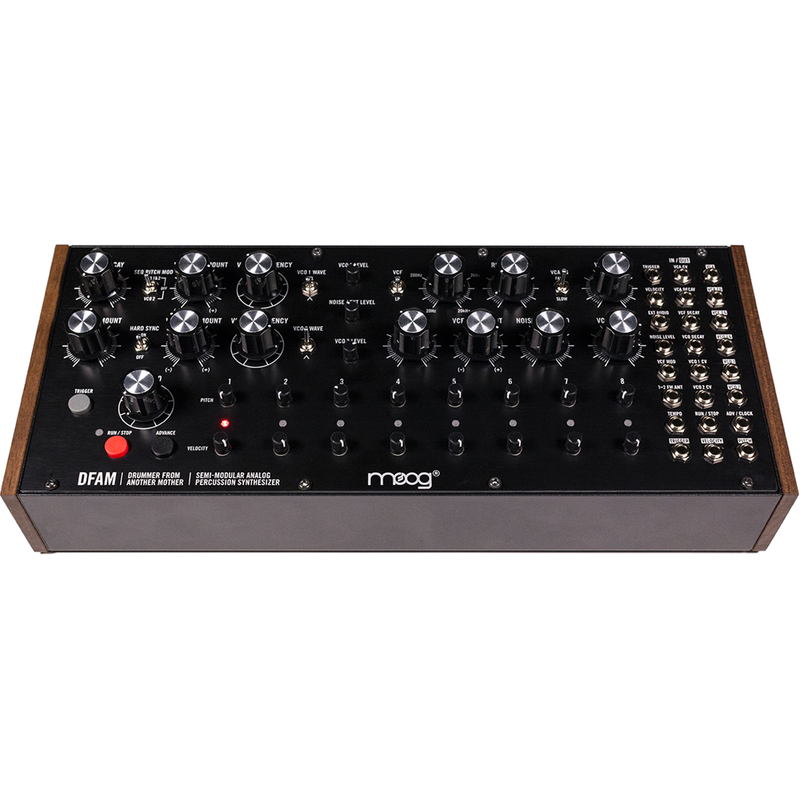 MOOG DFAM (Drummer From Another Mother) is a highly-interactive, Semi-Modular Analogue Percussion Synthesizer and a vibrant deviation from the traditional drum machine. 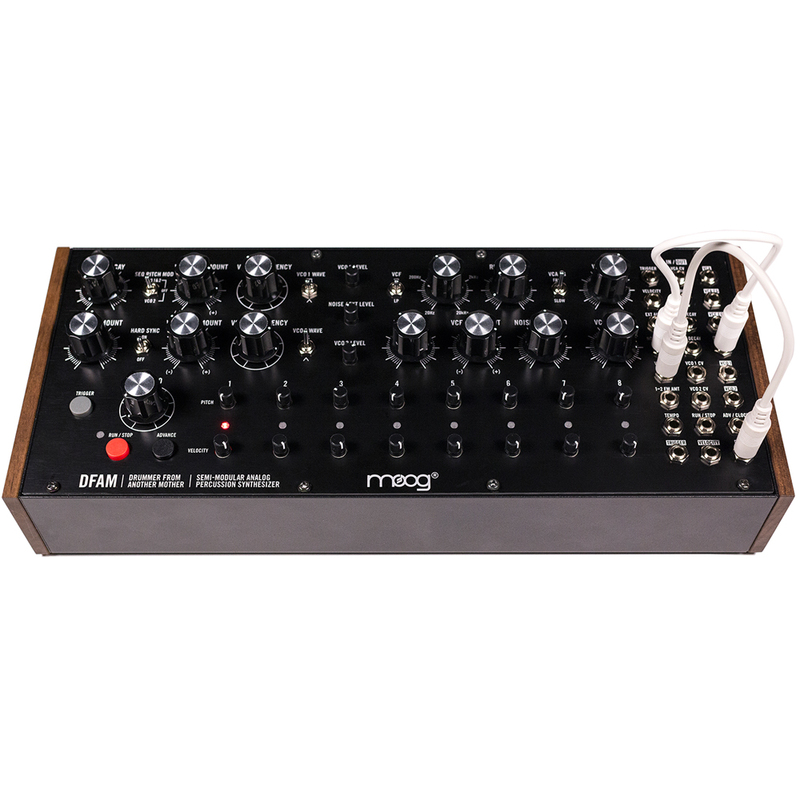 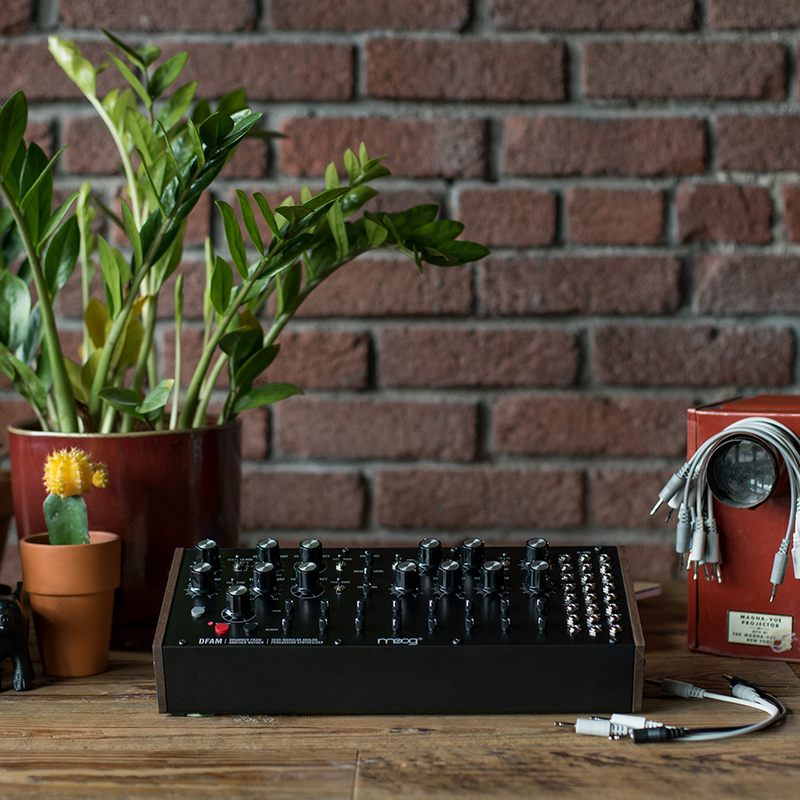 Handcrafted in Asheville, NC by the employee-owners at the Moog Factory, DFAM is the first addition to the Mother-32 family of synthesizers and presents an expressive hands-on approach to percussive pattern creation. 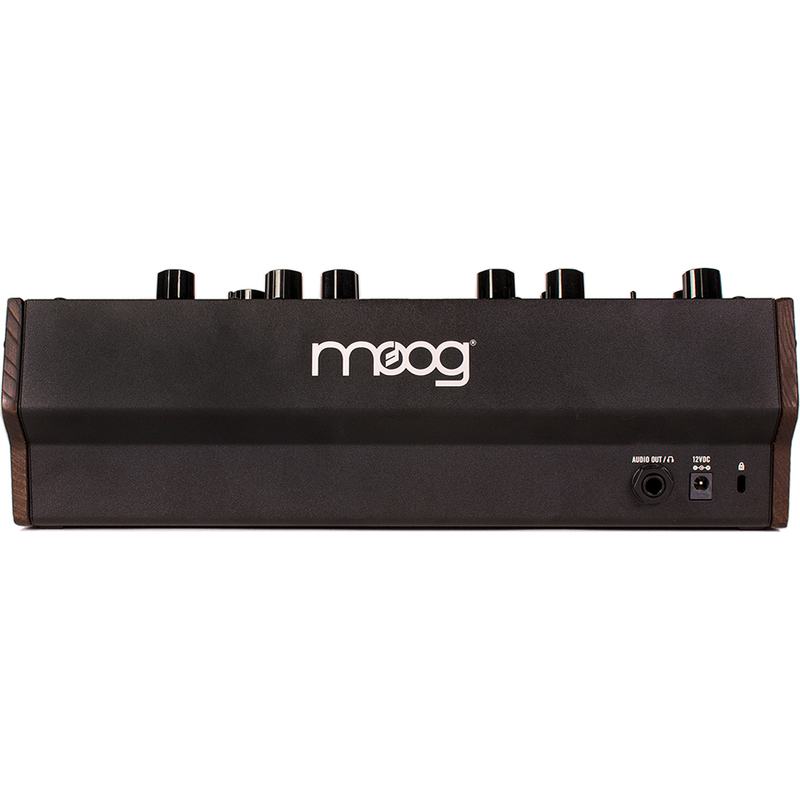 It requires no patching, and absolutely no experience is needed for human-beings of any age to quickly begin synthesizing new and unique rhythmic compositions. 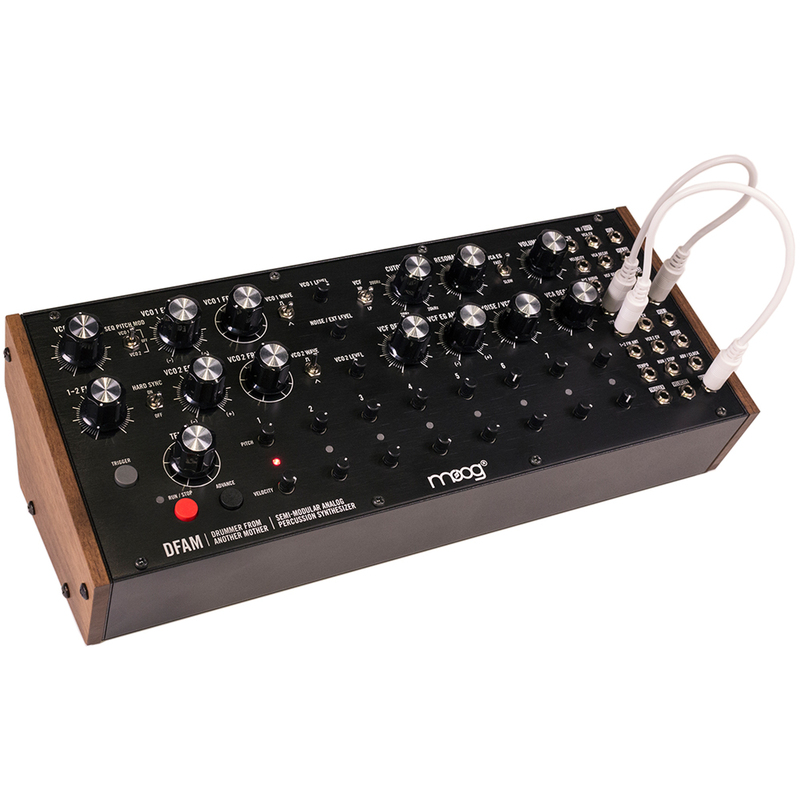 Patchbay Inputs Trigger, VCA CV, Velocity, VCA Decay, External Audio, VCF Decay, Noise Level, VCO Decay, VCF Mod, VCO 1 CV, 1→2 FM Amount, VCO 2 CV, Tempo, Run/Stop, Advance/Clock. 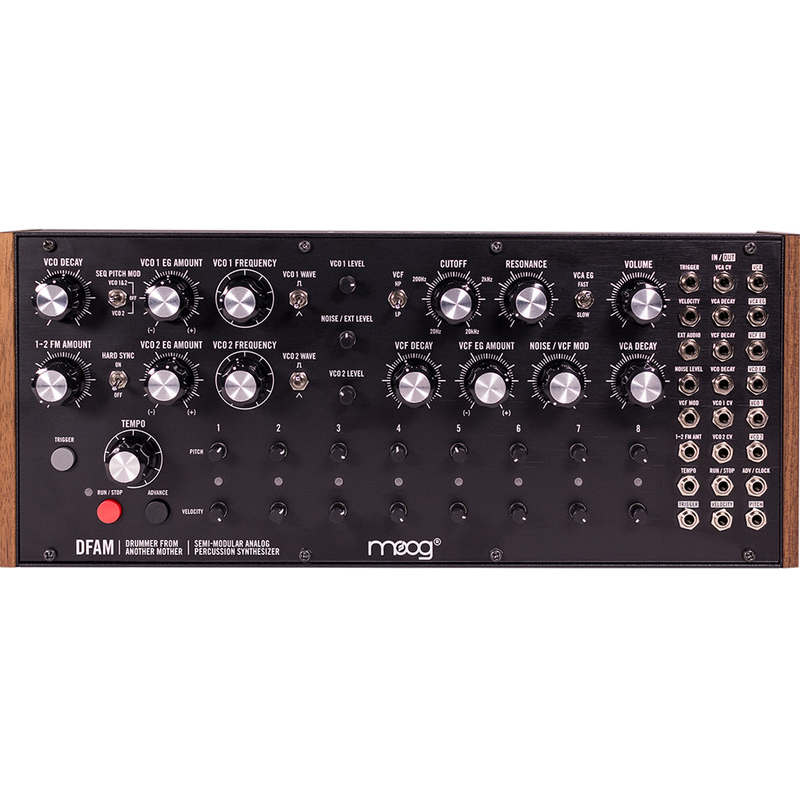 Patchbay Outputs VCA, VCA EG, VCF EG, VCO EG, VCO 1, VCO 2, Trigger, Velocity, Pitch.